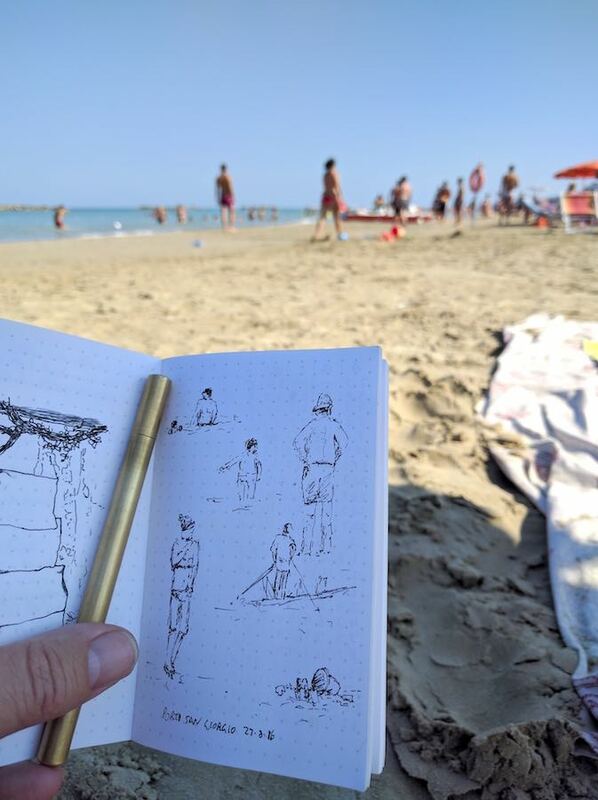 Back Pocket SpaceX Notebook Review – Pens! Paper! Pencils! 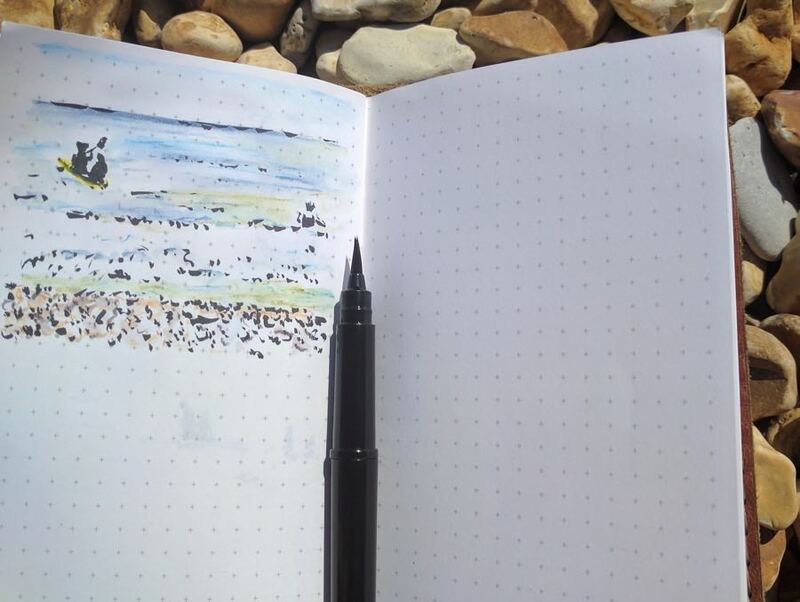 It seems these days that a new notebook’s been released before you can finish half of the one you last started, so it takes something special for one to stand out. 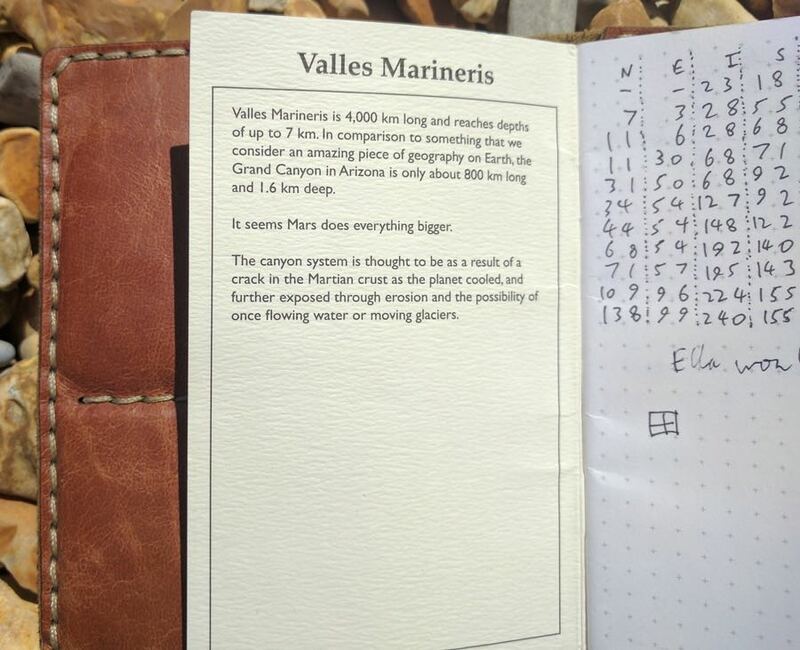 The Back Pocket SpaceX notebooks certainly look striking but do they hold up in use? 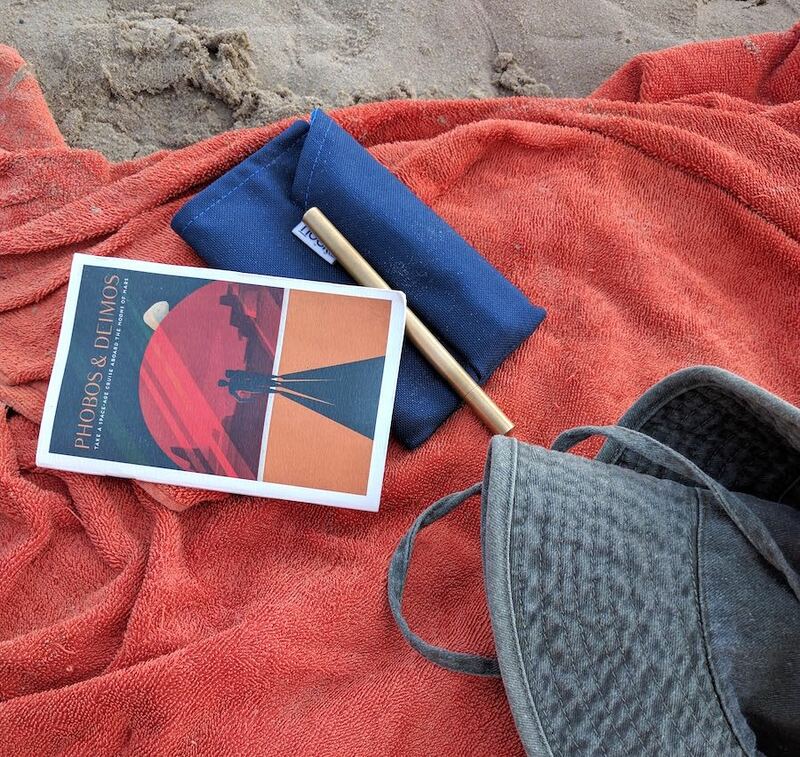 The covers use the designs commissioned by Elon Musk for his SpaceX programme. I love these so much! 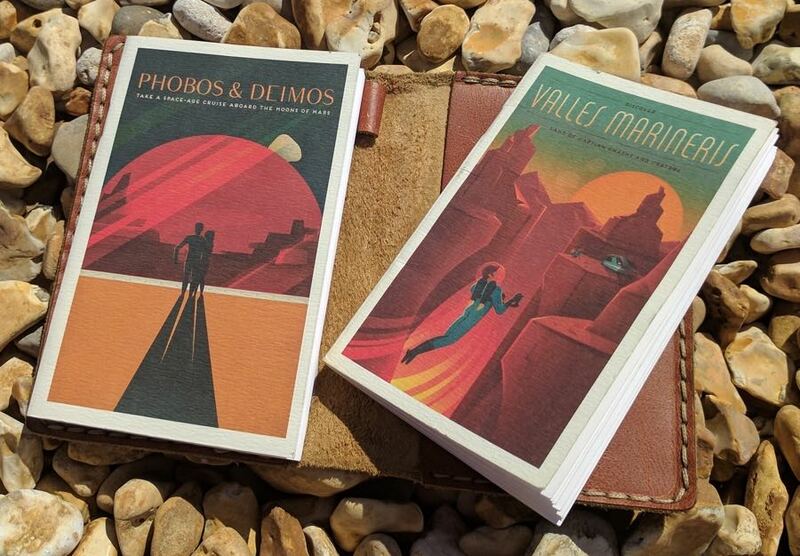 There are three Mars-themed designs: Phobos and Deimos (Mars’s two moons); Olympus Mons (the largest volcano in the solar system); and Valles Marineris (a huge canyon that dwarfs the Grand Canyon). 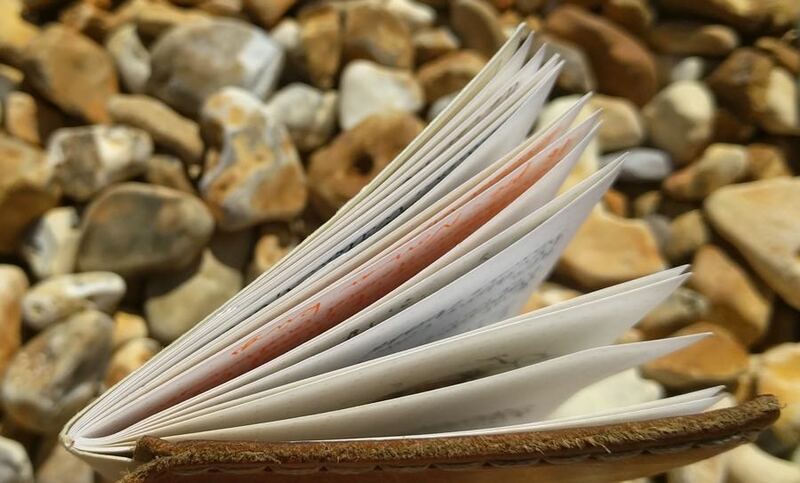 The inside front cover of each notebook has facts related to the cover. 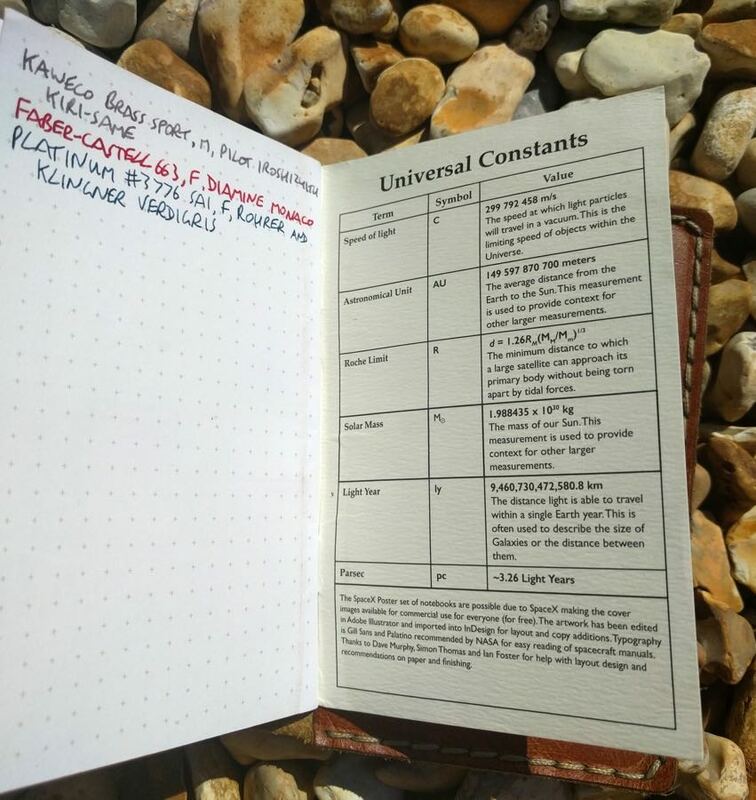 The inside back cover has a list of universal constants. Useless but incredibly geeky and wonderful. There are 36 pages rather than the more usual 48. 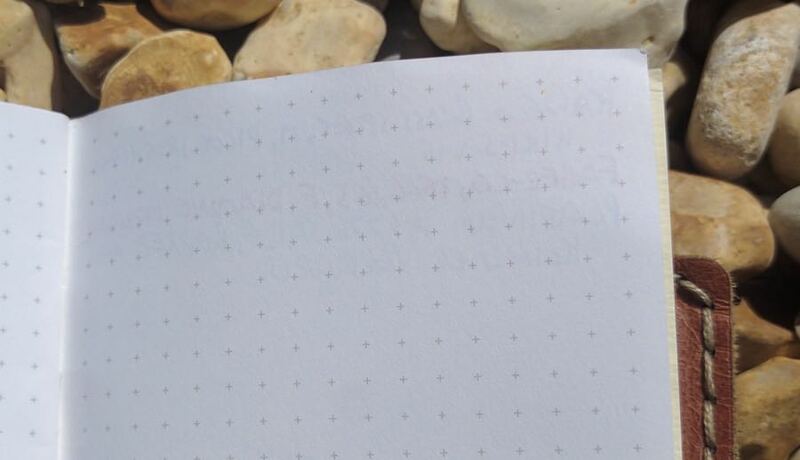 However the notebook’s about as thick as most others because of the weight of the paper. This means it holds up well to some watercolour (but will buckle with a wet wash). 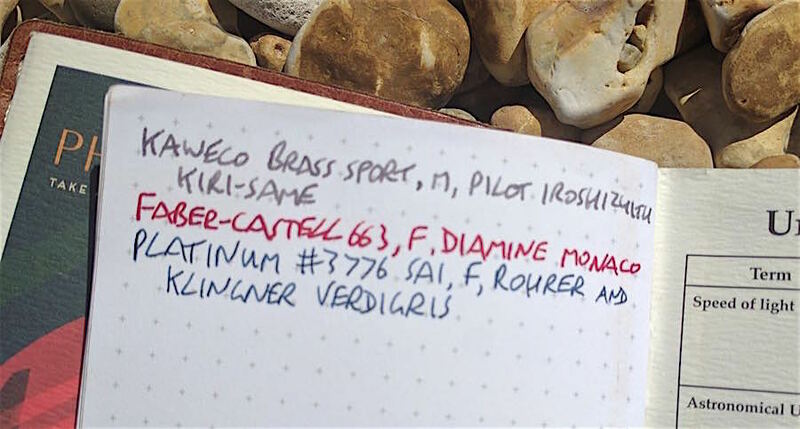 It deals with fountain pens well but some wetter nib and ink combinations with ever so slightly feather. Being so thick, there’s no ghosting or bleeding with this paper. 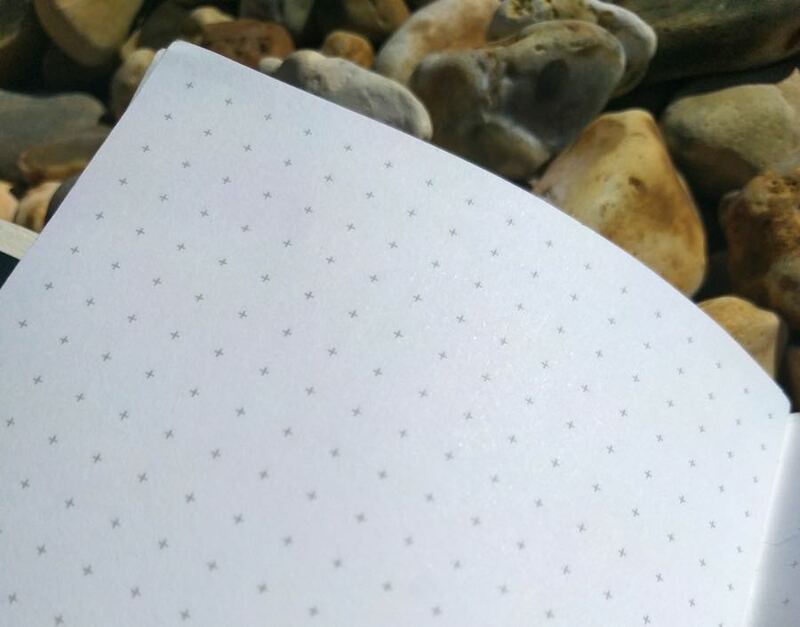 All in all, this is great paper for sketching so it’s a shame it’s only available with cross grid ruling. 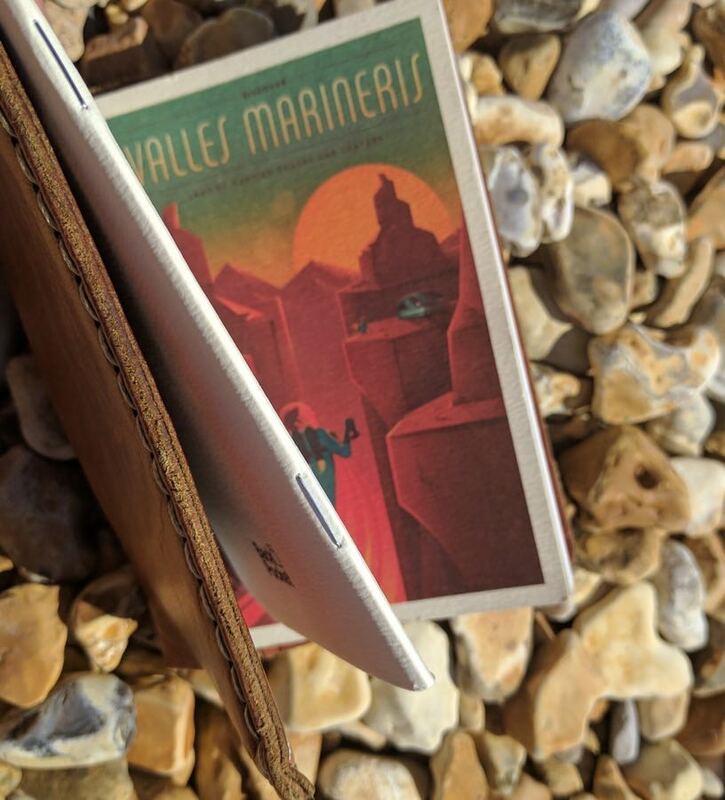 Pocket notebooks have mostly settled down at around £9 for a pack of three in the UK and so these are relatively expensive. They also use royalty-free publicly available artwork for the covers. This makes me feel they cost a little too much, even though the quality is extremely high. That said, I’m so in love with the artwork they use, and the paper is so great for quick sketches when out and about, I can see myself buying more in the future. Have I mentioned how much I love the covers? Back Pocket have previously sponsored Pens! Paper! Pencils! These notebooks were sent to me free of charge for the purposes of review. I’ve used two of them and the third formed part of a previous giveaway. These are my own honest opinions.